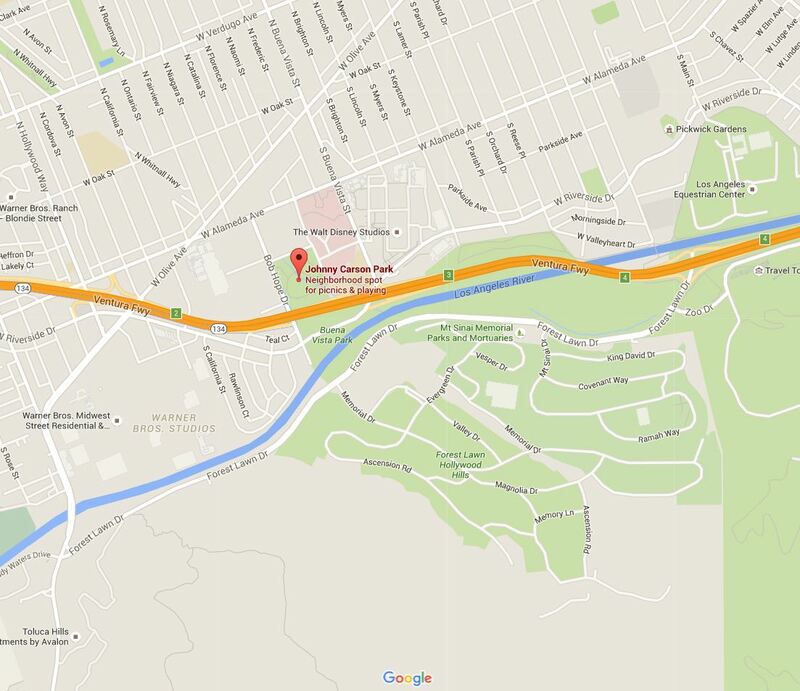 Johnny Carson Park is one of the largest and most utilized parks within the City of Burbank. Throughout the Park's history, the site has lost and gained several acres. Currently, the Park stands at 17.60 acres and approximately 8.75 acres of the Park are City-owned. The Park also provides extensive local, regional, environmental and social benefits. In order to operate and maintain the Park's infrastructure in a way that balances the sustainability goals of the City Council, the City has completed a renovation of the interior core of the Park. The project focused on improving energy efficiency, water efficiency, public access and long-term sustainability, while still serving the community's recreational needs. The plans to restore a natural streambed in Burbank got the go-signal June 4, 2013 from the Burbank City Council. "The Johnny Carson Park demonstrates how a renovation can be a model of sustainable design," said Burbank’s then-mayor Emily Gabel-Luddy, "In the old days, you plant as much grass as you can and water the heck out of it. In the 21st century, we can rethink our use of water, energy and irrigation to work within nature." Three years later, the project is successfully completed, and the Johnny Carson Park Creek area is having a grand re-opening on Thursday, July 21, with fun and a free concert. Click images below to enlarge.